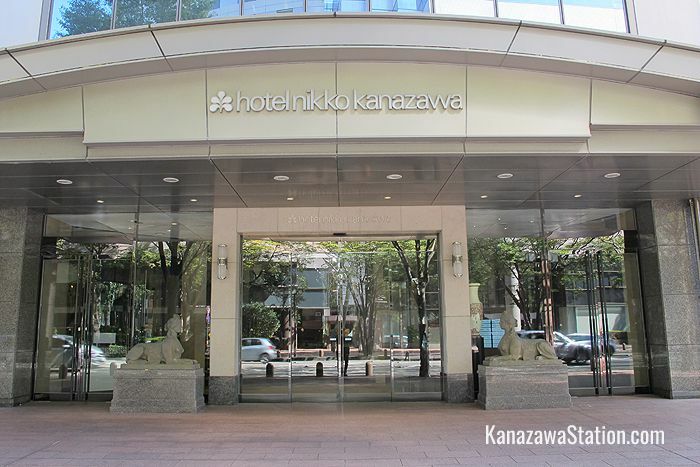 Hotel Nikko is an excellent luxury hotel just six minutes from Kanazawa Station with spacious rooms, courteous staff, and a wide range of dining facilities. This hotel is also the tallest in the Hokuriku region at 30 stories and 130 meters high. Naturally the view from the upper stories is fantastic. Hotel Nikko has 254 rooms which come with double beds, twin beds, queen beds, and king beds. 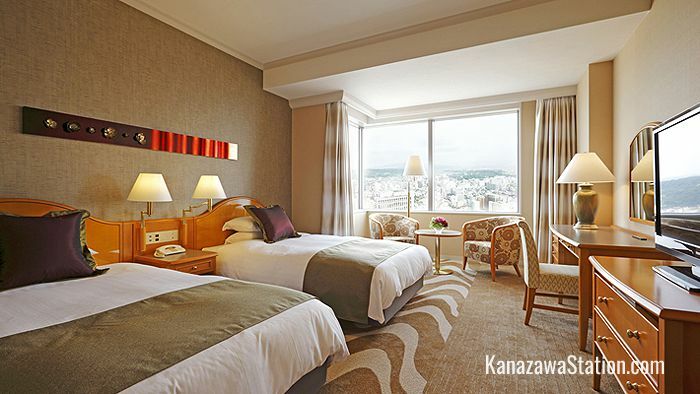 The rooms are graded by floor level with the more luxurious rooms being on the upper floors. 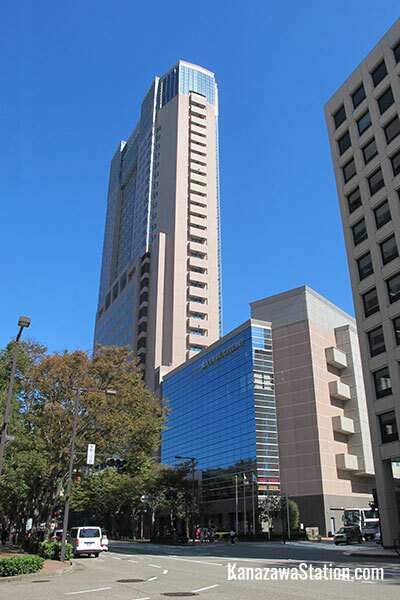 “Stylish” rooms are on floors 17-19, “Comfort” rooms on floors 20-25, and “Luxe” and Suite rooms on floors 26-28. All rooms have free Wi-Fi and LAN cable internet access. All rooms are also supplied with a TV, a refrigerator, a combined humidifier and air purifier, an electric kettle, tea and coffee, pajamas, slippers, and clothes hangers. All bathrooms are supplied with a full set of towels, shampoo, conditioner, body soap, face soap, bath foam, cotton buds, shaving razors, dental kits, a hair dryer, a hair brush, and bathroom scales. 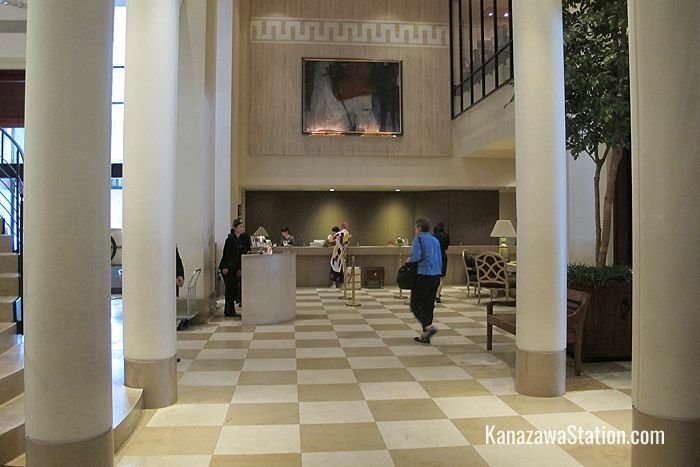 The Garden House on the hotel’s 2nd floor serves a western style buffet breakfast every day, and on weekends and holidays the Benkay restaurant on the 6th floor also serves a Japanese style breakfast. Breakfast at both locations is served between 7.00 and 10.00 with last orders at 9.30 and it costs 2,700 yen. The 1st floor Lobby Lounge Fountain is a bakery and café space serving light meals, pastries, coffee and tea. The 2nd floor Garden House is a French style buffet restaurant which uses local ingredients such as Kaga vegetables and fresh seafood from the Sea of Japan. The 6th floor Benkay is a Japanese restaurant with a, sushi bar, a sukiya style tea house and a traditional Japanese inner garden. Toh-Lee on the 29th floor is a Chinese restaurant with an extensive menu that includes classic dishes such as Peking Duck, Wanton Soup and Bird’s Nest Soup. Icho on the 29th floor is a teppanyaki griddle restaurant serving up freshly grilled beef steaks, seafood and vegetables. Vol de Nuit is the hotel’s main bar on the 29th floor and is an elegant spot reminiscent of an old-fashioned British clubhouse. The bar serves a range of original cocktails as well as standard drinks. During happy hour (17.30-20.00) there’s a 20% discount on the drinks. On Fridays, Saturdays & Holidays the bar closes at 1.00 am. Sky Lounge Le Grand Chariot on the 30th floor is a stylish piano lounge with magnificent city views. The lounge serves wine, champagne, and a variety of light meals. The lounge has a dress code with male guests required to wear jackets. On Fridays, Saturdays & Holidays the lounge closes at 24.00 am. La Plage on the 30th floor is restaurant serving set courses of European style cuisine. On occasion there is musical entertainment to accompany the meals. This is a sophisticated dining space and male guests are required to wear jackets. The following items can be borrowed from reception: a trouser press, an iron, a DVD player and a desk lamp. There is a souvenir shop on the 1st floor which is open from 8.00-20.00 and sells local confectionery and crafts such as Ohi pottery, and Wajima lacquerware. A variety of in-room massages and aromatherapy treatments are available for female guests, but gentlemen can also book a treatment if they are taking it together with a lady. This service is available from 9.30-23.00 every day except Monday and should be booked at the front desk before 19.00 of the same day. 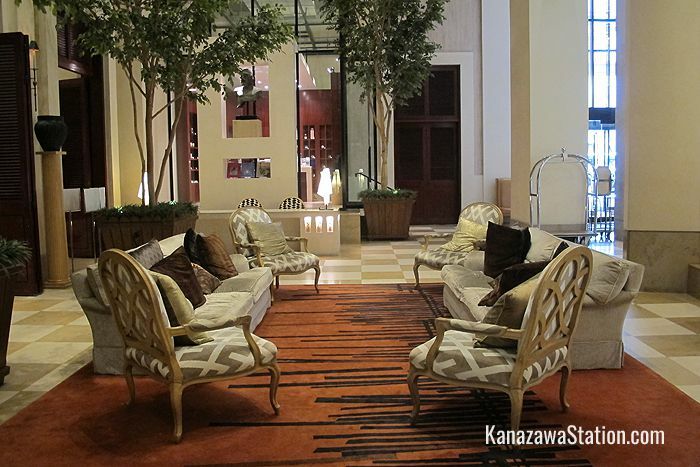 Parking is available for guests at 1,000 yen for every 24 hours. 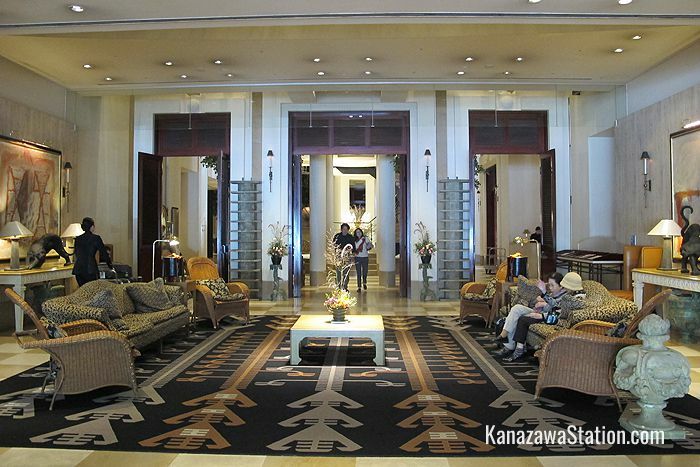 Hotel Nikko is a 5 minute walk from Kanazawa Station’s east exit.